Technology Applications What Is the Difference Between A VPN And A Proxy? We all know very well that both privacy and security are two issues that Internet users value a lot. That is why many times they choose to use different software and tools that simply help to improve all these aspects. Hence, today in this article we will discuss about the differences between them, of course, I am talking about none other than Proxy and VPN. 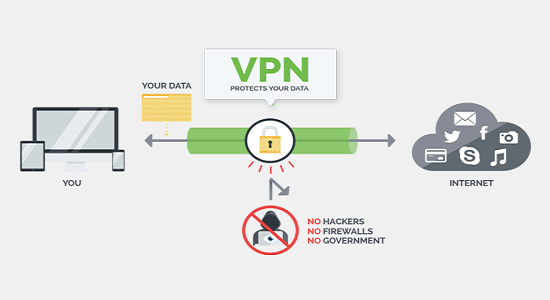 1 What Is the Difference Between A VPN And A Proxy? 1.1 What is a Proxy? 1.3 What is a VPN? 1.5 Proxy vs VPN: Main differences and how to choose? 1.6 What to choose “Proxy or VPN”? Both privacy and security are two major issues that Internet users value a lot nowadays. That is why many times they choose to use different software and tools that simply help to improve all these aspects. Hence, today in this article we will discuss about the differences between them, of course, I am talking about none other than Proxy and VPN. So, basically, in this article, we will explain the main differences between both services and we will also discuss that when you use a Proxy and VPN. And not only that even we will also give some interesting recommendations as well. So, now without wasting much time let’s get started and explore the article. So, a proxy server can be used simply to access a web page or a service that is not available in particular but does not encrypt or protect the rest of our navigation so that security would not be fully secured. While now if we talk about a VPN (Virtual Private Network) then let clarify one thing first that a VPN provides a higher security than the Proxy. But, how? As it simply encrypts and protects all of our traffic to the other server, unlike the application that we had previously talked. While the price varies between a VPN and Proxy, as in this sense, a proxy would be much cheaper than a VPN. Hence, if we only want to hide our IP, a Proxy is more than enough. It is true that both services have free options, but we already know the risk of using VPN for free. In short, these are some differences when we have to choose between a Proxy and VPN. So, what do you think about this? Simply share all your views and thoughts in the comment section below. A very good explanation, I am using nordvpn for this, because it has a proxy extension and the actual vpn app. works on all devices. Proxy it is a good choice for making a quick switches. Sometimes it is enough even for a streaming or if you don’t want to have anything heavy on your tablet. For an individual access VPN is more convenient. But if you need to hide thousands of requests in a minute and remain hidden, you have only one option. It’s proxies.